← “Bullet Time” : What is it? I’ve been getting a lot of traffic from people looking for the Sandy Hook shooter Adam Lanza’s educational history, due to the news that the Sandy Hook Advisory Commission is looking toward home-school reforms as one of their recommendations. Most discussions that have linked here are arguing whether or not the shooter was ever home-schooled, or what exactly his educational history is like. I don’t have an opinion on home schooling either way, but many of the conversations linking to this blog contain confusion or deception regarding the facts. Kindergarten (1997-1998) Adam Lanza attended kindergarten in the Kingston, New Hampshire school system. The exact school isn’t named in the official report, but the family did not move to Sandy Hook until the latter half of 1998, when Adam was in 1st grade. Adam never actually left the Newtown school district. He remained enrolled, entering a special program in which he did prepared lessons at home, according to a family member of Nancy Lanza who asked not to be identified. …but this is inaccurate. Adam went to SHES during the day, and stayed after class as well. Fifth Grade (2002-2003) Adam Lanza attended Sandy Hook Elementary School for fifth grade, and stayed after normal school hours to complete his work alone, with his mother Nancy. He was not home-schooled. He also attended Reed Intermediate School for the latter half of the year. Three school officials who worked with children with special needs at Reed Intermediate School and Newtown Middle School said they don’t recall Lanza coming up on the radar screen for any pressing problems. Lanza and his classmates were the first fifth-graders to attend the intermediate school, moving from Sandy Hook Elementary School to Reed in mid-year in 2003. 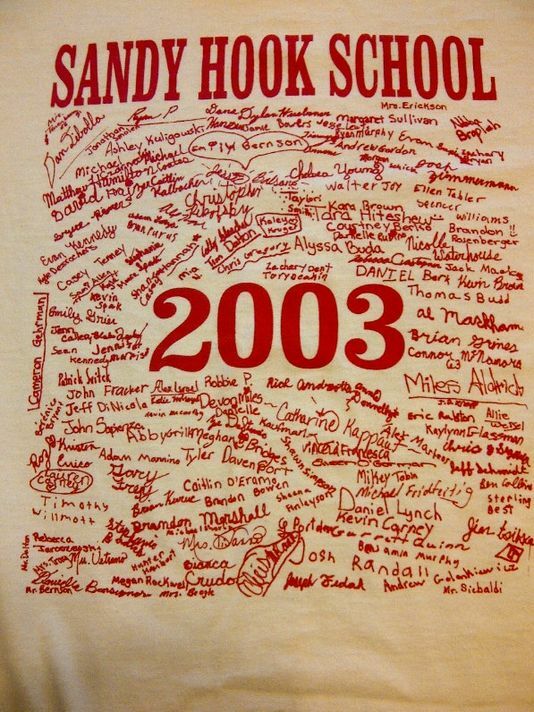 Note that “mid-year 2003” here refers to the 2002-2003 school year. A frequent source of confusion in articles about Lanza’s educational history is the confusion of academic and calendar years; at first glance, “mid-year 2003” might be interpreted as academic year 2003-2004, and then the whole timeline is off by a year. Something to keep in mind. Sixth Grade (2003-2004) Adam Lanza attended Reed Intermediate School for 6th grade. I can find no indication that he was homeschooled this year. Seventh Grade (2004-2005) Adam Lanza attended Newtown Middle School and St. Rose of Lima for 7th grade. I can find no indication that he was homeschooled this year. Kateleen Foy, now a student at Hofstra University, recalled Lanza coming to seventh-grade late in the year to St. Rose, a silent, shy boy who was once photographed offering a tentative wave from his seat at the lunch table. Foy said she did not recall Lanza being bulled at the school. June 2005 marked the end of Lanza’s short time at St. Rose. Note: It is right around here, 2005-2006, when Adam’s mental state becomes noticeably unstable, and his educational history reflects that going forward. As far as I can tell, Adam Lanza was home-schooled for all except the first few weeks (or perhaps just days) of this school year. Very little solid information is available about his 8th grade year, but Nancy’s actions and Adam’s mental health records suggest he was not attending school for most of it. By the start of eighth grade, at Newtown Middle School, Lanza was overcome with anxiety and missing school. On a September day in 2005, Nancy Lanza drove her son to Danbury Hospital’s emergency room. According to a hospital medical record, Adam Lanza had been experiencing anxiety for several days and on that particular day was “presenting as more anxious,” particularly in groups. The report also notes Lanza’s discomfort with being touched, a condition that had troubled him since early childhood. Nancy Lanza wondered whether her son was “outgrowing borderline autism,” the report said. Doctors evaluated Lanza that day and determined he was not a danger to himself or others. They did not admit him or prescribe medication, but recommended that he follow up with his doctor. Nancy Lanza, according to the medical record, was not entirely satisfied with what the emergency room doctors did. An investigator familiar with the report said Nancy Lanza unsuccessfully pushed the doctors for more answers. She wanted them to give her permission to keep her son out of school. When Adam was thirteen, Peter and Nancy took him to Paul J. Fox, a psychiatrist, who gave a diagnosis of Asperger’s syndrome (a category that the American Psychiatric Association has since subsumed into the broader diagnosis of autism spectrum disorder). Peter and Nancy finally knew what they were up against. “It was communicated as ‘Adam, this is good news. This is why you feel this way, and now we can do something about it,’ ” Peter recalled. But Adam would not accept the diagnosis. Nancy coordinated the home curriculum with Newtown High School to insure that Adam could graduate rather than simply get a G.E.D. She initiated all such major decisions. “I took the back seat,” Peter said. 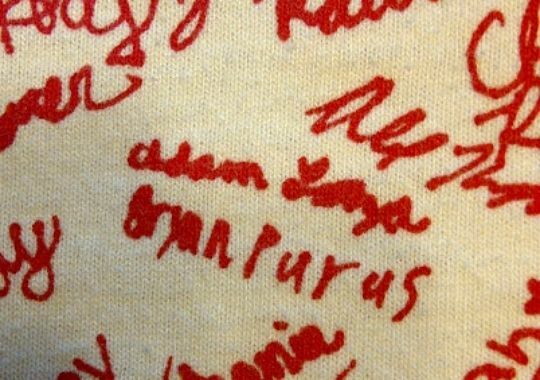 Even after beginning homeschooling, Adam continued to attend Newtown High’s Tech Club meetings. The “Catholic school” that Nancy enrolled Adam in was of course St. Rose of Lima, which was actually the previous year (7th grade) but this is probably just the writer condensing information for brevity’s sake. Freshman year (2006-2007): Adam Lanza attended Newtown High School. According to his father, he was also home-schooled during this school year. According to Adam’s father, he was also home-schooled during this school year. Summer 2008: Adam Lanza attended WCSU, for credit at Newtown High School. 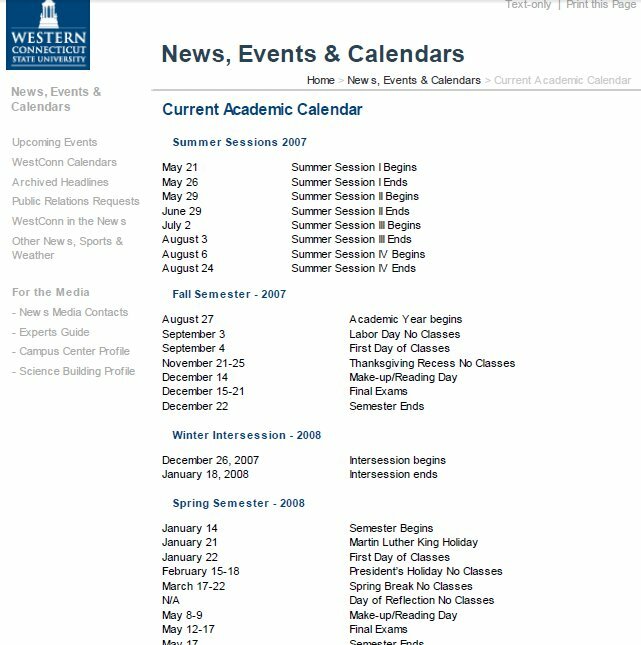 (note that WCSU is on a Semester schedule and thus there is no “Winter quarter” – Spring semester immediately follows Fall semester, and starts in January. 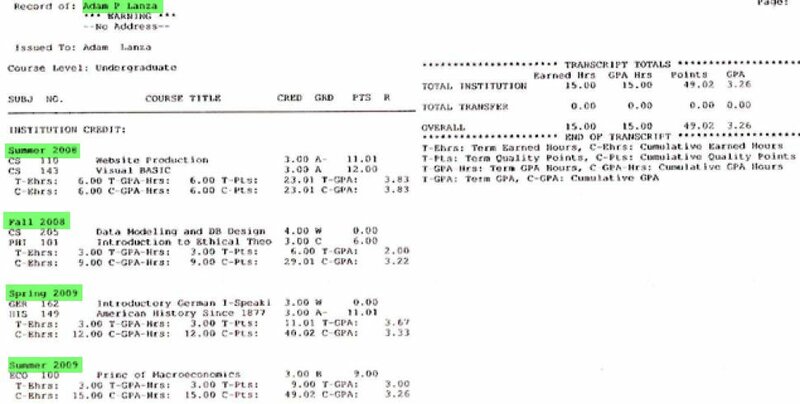 Adam Lanza attended Norwalk Community College after graduating high school. Other reports state that he “attended Norwalk Community College in 2010 but dropped out.” I don’t know if that refers to this class with the wrong date, or if he registered for a second round of classes in 2010. So, that’s it. You will find some reports out there that conflict with this timeline, but usually they are confusing academic years with calendar years, and the dates are thus wrong. Also, some interviews in the official report contain wrong information (such as Adam attending “St. Mary’s School” but that is because these are interview transcripts; the interview subjects are (understandably) mistaken about another child’s education history more than a decade after the fact. This entry was posted in Uncategorized and tagged adam lanza, educational history, home school, sandy hook. Bookmark the permalink.